Encircled by water from the three different directions, the peninsular India places to captivate the imagination of the nature buffs. India is presented with some of the most excellent beaches in the world stretched across the coastal lines of Southern India. India holds more than 200 incredibly picturesque beaches that propose everything from beauty to comfort to action and attracts people from different parts of the country to get engaged in a wide range of beach activities. Here coming another New Year, another reason to explore the world. So here are the top 10 places for a beach vacation in India that will leave you amazed and contented with India’s coastal beauty. Undoubtedly Goa is one of the perfect place to plan for holidays. The party capital of India, this little heaven on earth is a box full of surprises and challenges. 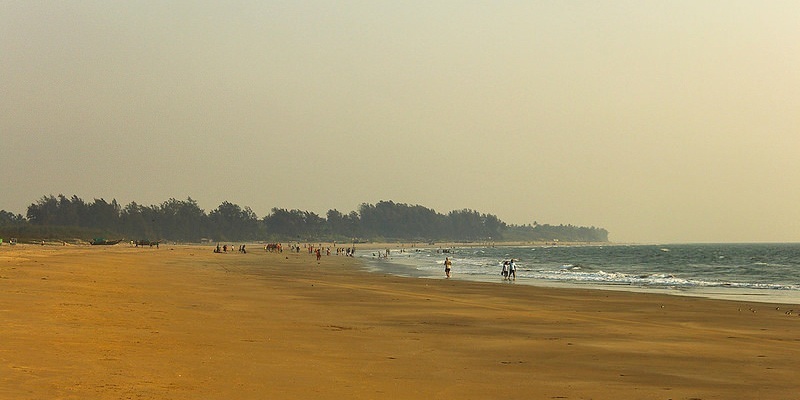 Apart from happening beach shacks and night clubs, Goa has a number of uncharted beaches, murky caves and other secrets spots waiting to be explored. Welcome to the strange beauty, incredible seafood and the friendly and spirited locals. Goa offers an absolute holiday experience for every traveler. A foodie-heaven for sea-food lovers, Goan cuisine has a fascinating blend of the Konkan and Portuguese cooking styles. To figure it up, Goa has something for everyone. 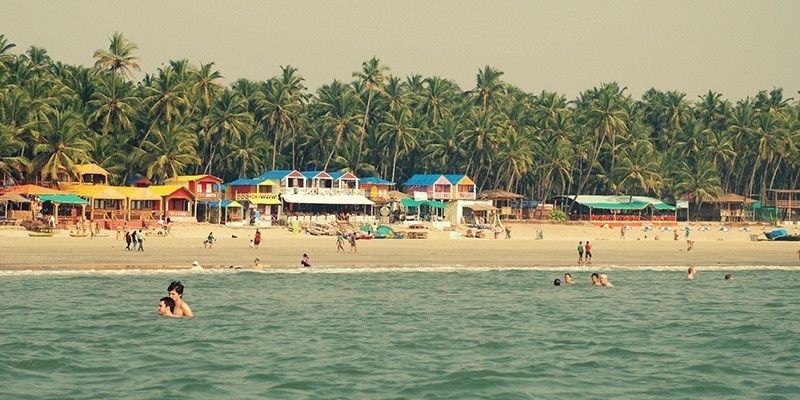 Goa is the land of never-ending festivity – all around the year. 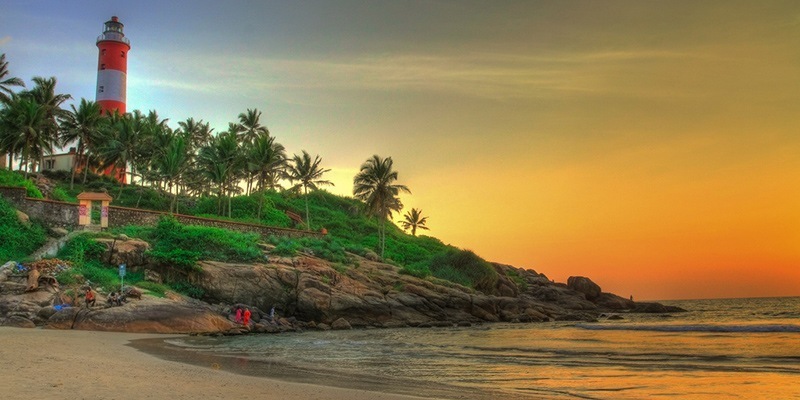 Kovalam is a globally celebrated beach with three neighboring semi-circular beaches. It has been a preferred hunt of tourists, especially Europeans, since the 1930s. A huge rocky cape on the beach has created a stunning bay of quiet waters ideal for sea bathing. Life in no way stops here in Kovalam. It is situated 16 km from the capital city of Thiruvananthapuram and has been a perfect one for every water sport. There are plenty of lodging options available for tourists at Kovalam – right from five star hotels to budget stays. The surroundings of this beach is remarkable enough to take your breath away, with a long twisting stretch of cliff and sights that broaden over the Arabian Sea. 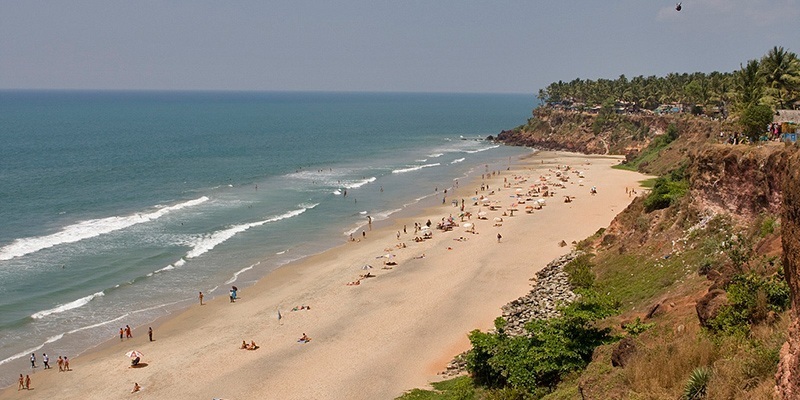 Varkala beach, also known as Papanasham beach, is located between Alleppey and Kovalam. Being a personification of pleasing beauty, this beach feeds the photographers with some wonderful beauty to capture. This tranquil hamlet, lies on the outskirts of Thiruvananthapuram district and is believed that – A dip in the holy waters at this beach cleanse away the body of impurities and the soul of all sins. Also known as Pondicherry, this place lays sun drenched on the Coromandel Coast of the Bay of Bengal in Tamil Nadu. Not be compared to Goa, beaches of Pondicherry encourage you for a romantic getaway or to camp on the seaside the beaches on the outskirts of this small French style town are perfect places to relax, invigorate, do yoga and treasure the soothing beauty of nature. Although a few, beaches help you forget the daily schedule and chaos of city life. 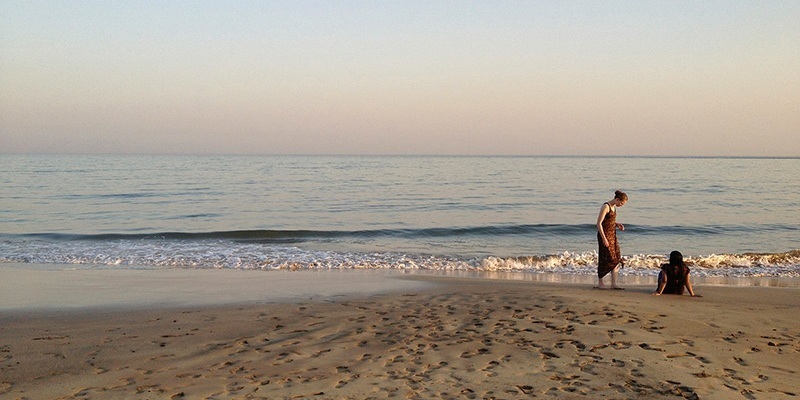 Some of those peaceful popular beaches in Pondicherryare: Serenity Beach. Promenade Beach, Paradise Beach – which is one of the most visited places. Paradise Beach is located just 8 km from the town of Pondicherry, the fascinating look of this beach lures the people from all walks of life. Paradise Beach is much cleaner than the other beaches over here and makes it the most favored place to visit. The charisma of dolphins is one of the highlights of this beach. 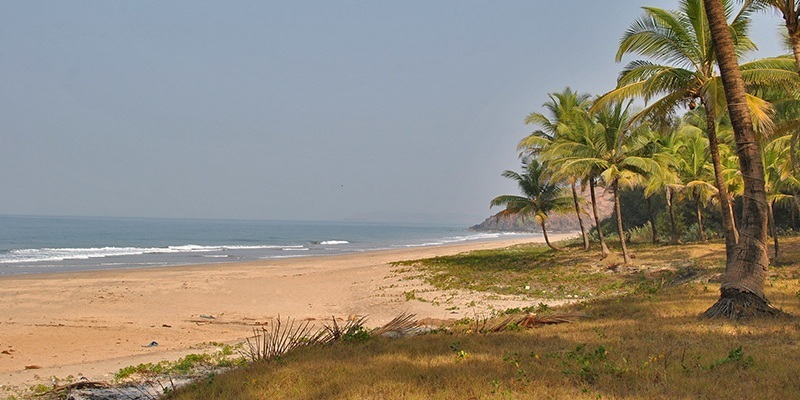 Paradise Beach offer sports activities such as sunbathing, kayaking and backwater sailing. 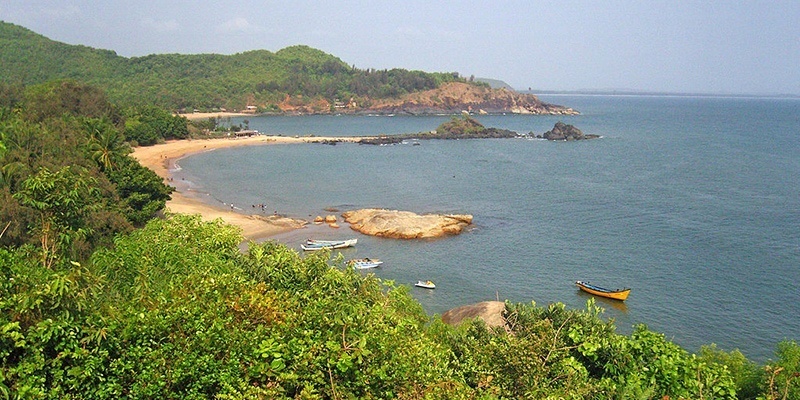 Gokarna is a small and distant holy town, with four of India’s most isolated and immaculate beaches. 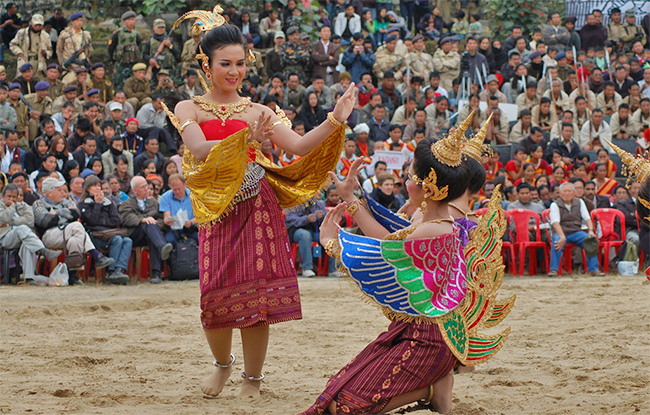 It draws both religious pilgrims and wild holiday makers with equal fervor. It can be called as the less-commercialized description of Goa which draws a crowd for a low-key. In fact there are two Gokarnas; adjoining to the beaches is the holy Hindu pilgrim town of Gokarna, full of primeval temples that come to existence during main festivals. Most lodging at Gokarna beach is in thatched bamboo huts all along its several stretches of heavenly coast. Visit here for a much calm and serene view of life at beach. The nearest airport is Dabolim, in Goa. From Goa, it’s a four hour drive south to Gorkana. Travelers can also opt for trains on the Konkan railway which stop at Gokarna Road station, 15 minutes from town or get down at Kumta or Ankola stations both of which are half hour drive from Gokarna. Out of all the places mentioned in this post, this is the only one with less of a family feel to it. Tarkarli is really a magnificent and a well celebrated water body of Maharashtra which has the premium white sand beach in the entire extends of Konkan beaches. On a vivid sunny day you can even glance into this water body up to 20 feet, oh yeas that much clear! Scuba diving and snorkeling quench the desire of adventure lovers. With the Karli backwaters on one side and the clear ocean on the other, Tarkarli is the most charming destination. Tarkarli is a promising destination for water sports in Maharashtra! If traveling by train Sindhudurg and Kudal are the nearest railway stations. With some of the most exotic beaches of India, Andaman and Nicobar Islands is best recognized for its spotless surroundings and unscathed natural beauty. Picturesque landscapes, outstanding sunsets, golden beaches, the Andamans has everything to calm your wanderlust. Be it a lazy afternoon on Asia’s finest beach, an arrangement of exciting water sports or an arduous trek on a challenging-yet-attractive terrain—your Andamans visit is a must. The Radhanagar Beach on the Havelock Island is the most admired tourist attraction of Andaman and Nicobar Island. It has been conferred with the precious “Asia’s best beach” award by Time Magazine. 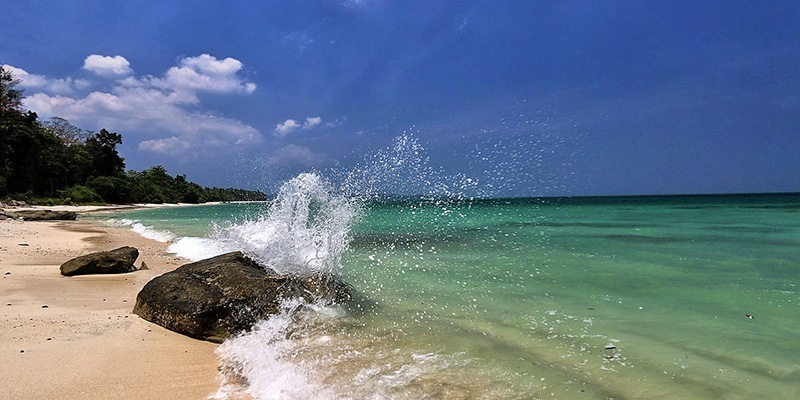 Long extend of white sun-soaked beaches where the only hums are the crash of waves and the breeze blowing all the way through the palm trees, Lakshadweep nature is unspoilt, untouched and peaceful. The only crowds you’ll ever see are of the sandpipers on the coast. Watch the glorious marine life or sleep next to the sea with the night sky as your ceiling… remedy has never felt better. Located in the Arabian Sea, 400 kilometers off the coast of Kerala, and can be arrive at by a twenty-hour sea passage from Kochi. The most famous islands of Lakshadweep are Chetlat, Agatti, Andrott, Kadmat, Kalpeni, Minicoy and Kavaratti. It’s the smallest Union Territory of India with 5 waterlogged banks, 3 reefs and 12 atolls. 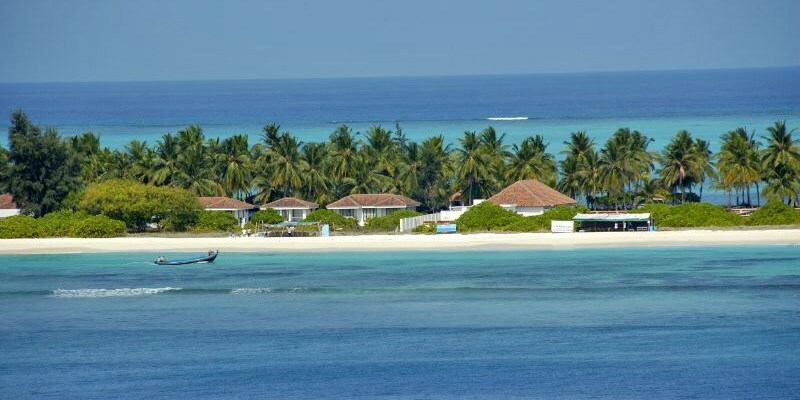 If you are planning a trip top Lakshadweep Islands, you would need to start well in advance as only limited permits are issued every year by the Indian Government. A miniature coastal town in Maharashtra, Ganpatipule has an impressive beach, one of the most extravagant on the Konkan coast. The beach has idiosyncratic red sand and shallow water, making it perfect for swimming. The activities on the beach consist of Water Sports such as speed boat rides, camel ride, scuba diving and travelers could relish a Coconut Bhel Puri & Lime Juice at beachside stalls. Snorkeling can also be done during drier season when waters are relatively clear. Ganpatipule can be visited en-route to Ratnagiri and is just 35 kilometers from the famed Jaigad Fort, which proposes a panoramic view of the sea and villages from the face. Ganpatipule is also prominent for the Swaymbhu Ganesh temple where Lord Ganesh’s statue is believed to have initiated from the ground. The beach at Diu has a pleasant climate here for most part of the year. The Diu Fort, created by Bahadur Shah, the ruler of Gujarat, gives a nice vision of the sea. The survival of such fantastic forts and palm trees makes this beach among the most called places in Gujarat. Diu is also a chief fishing town popular for the delicious sea food. 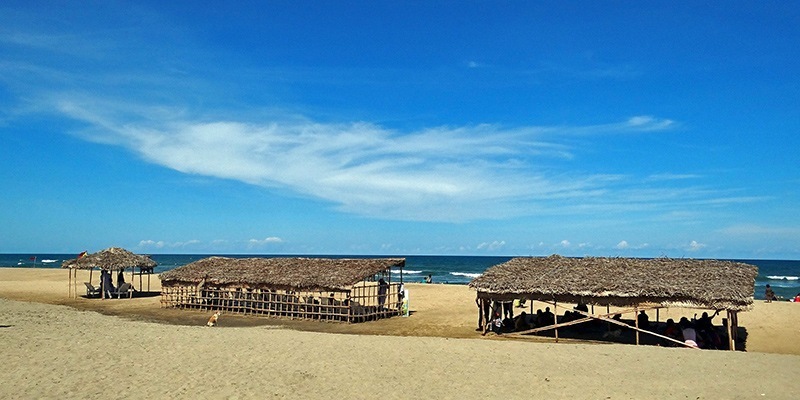 Nargoa beach is among the renowned tourist attractions which are frequented by large numbers of tourists. Recently water sports like para sailing and jet-skiing have also become an option on the beaches, appealing to the adventure lovers. This is a perfect destination for a relaxed and calm trip for couples and families similar. No two beaches in India are exactly the same. Some people like it sunny, happening at night; others want pristine beaches offering tranquility. Fortunately, in India we have no dearth of awesome beaches to choose from.